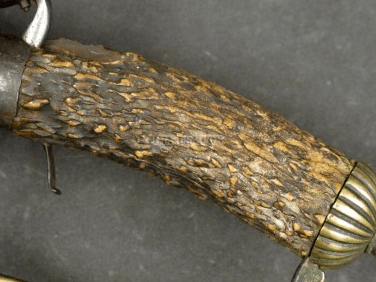 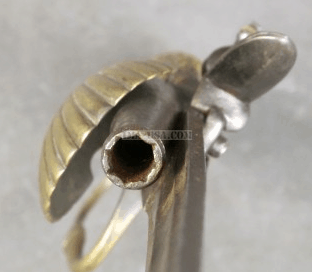 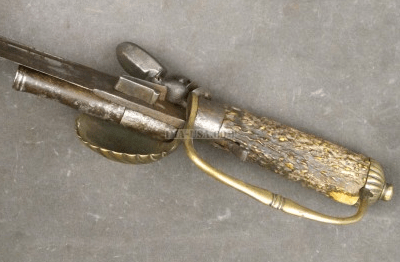 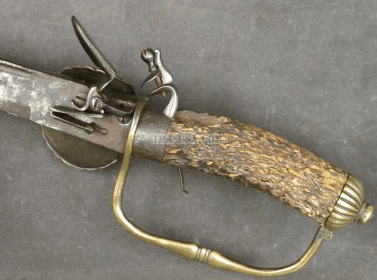 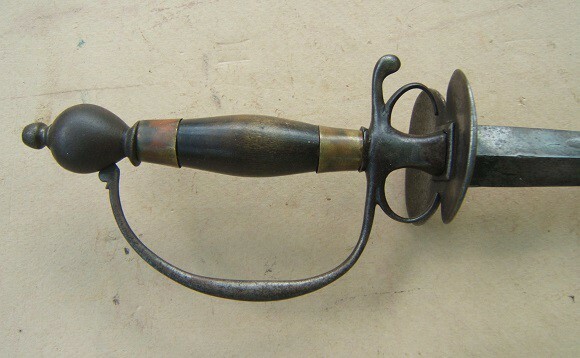 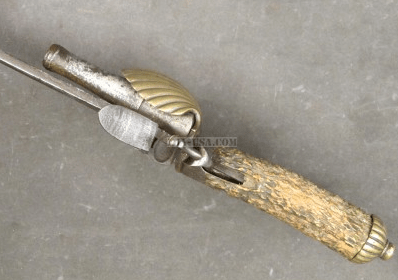 This is an early English Hunting Sword featuring a stag horn grip with brass pommel; sword guard and shell cover enclosing a Queen Anne style cannon barreled flintlock pistol. 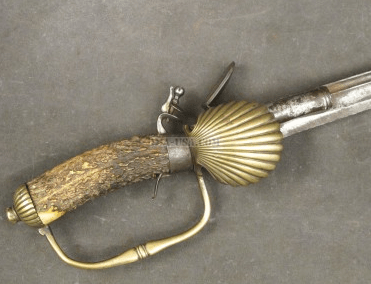 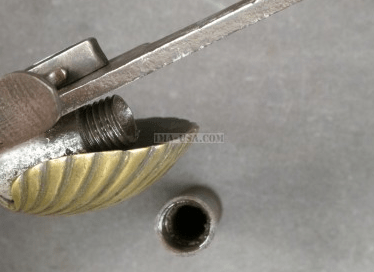 If carefully examined one can just see the faint London proof marks on the rear of the barrel protected by the brass Shell Guard. 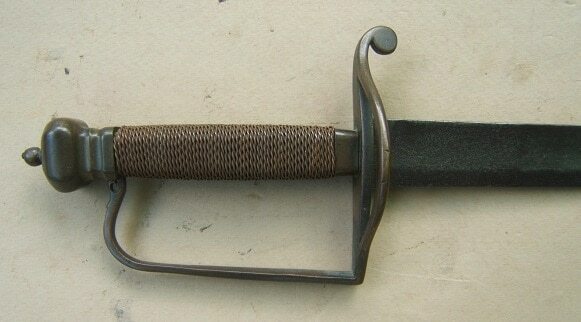 The almost 25″ sword blade has a double fuller down both sides. 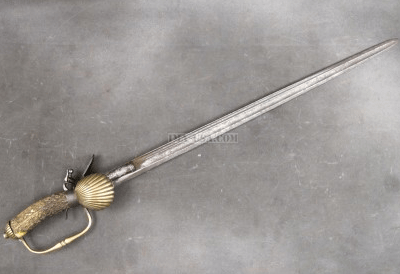 Intended as a hunting weapon short swords like this were for personal protection especially against wounded wild Boar, while combination weapons of this sort were mostly found on the continent. 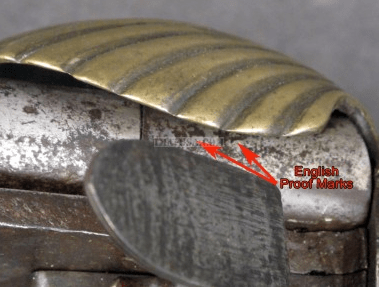 English made examples are extremely rare.